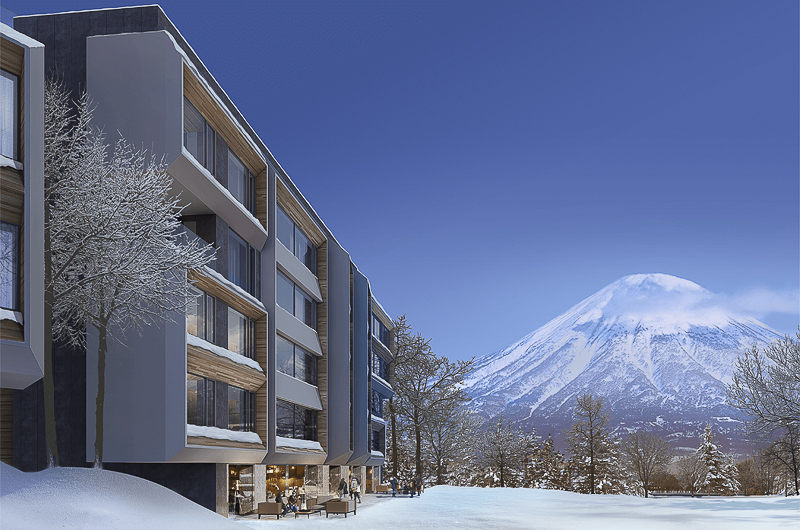 Setsu Niseko is set to bring a new level of luxury to Niseko apartment living. 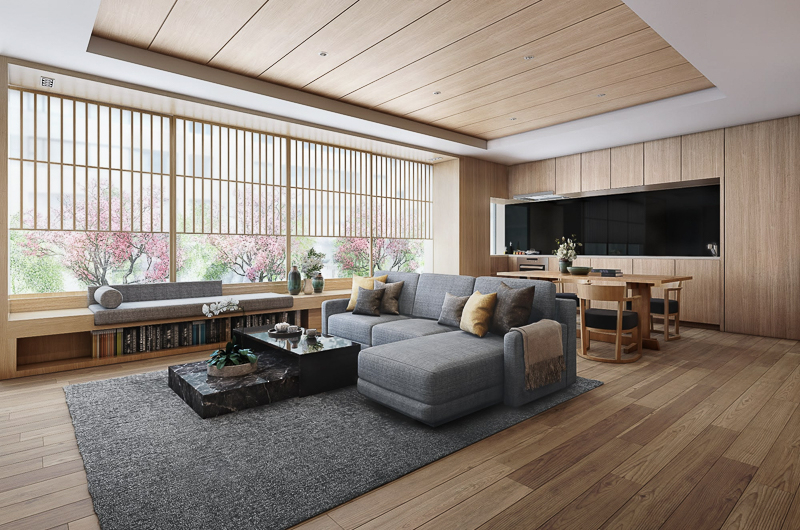 Currently under construction, Setsu aims to fuse contemporary architectural design with Japanese sensibilities, developed with respect for the surrounding environment. 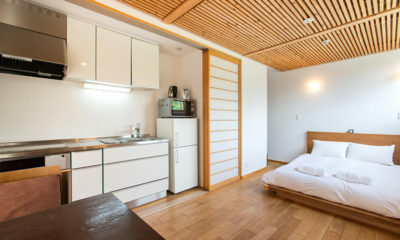 The building’s form and interior living spaces will encapsulate the elegant simplicity and purity of the spirit of Japan, providing a luxurious and harmonious place for a northern Japanese mountain holiday. 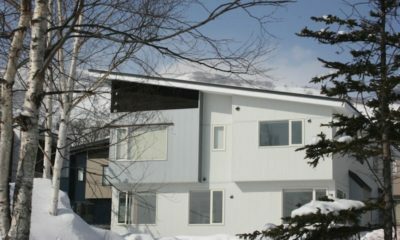 Setsu Niseko’s name is inspired by the artistic depiction of snow, the moon, and cherry blossoms – a theme embodied in the phrase “Setsu getsu ka”, taken from a Chinese poem and widely adopted into Japanese art and culture. 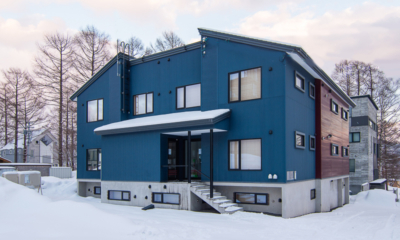 Aptly representing seasonal change around which Niseko’s existence revolves, developer SC Global believes it also encapsulates the essence of Setsu Niseko. 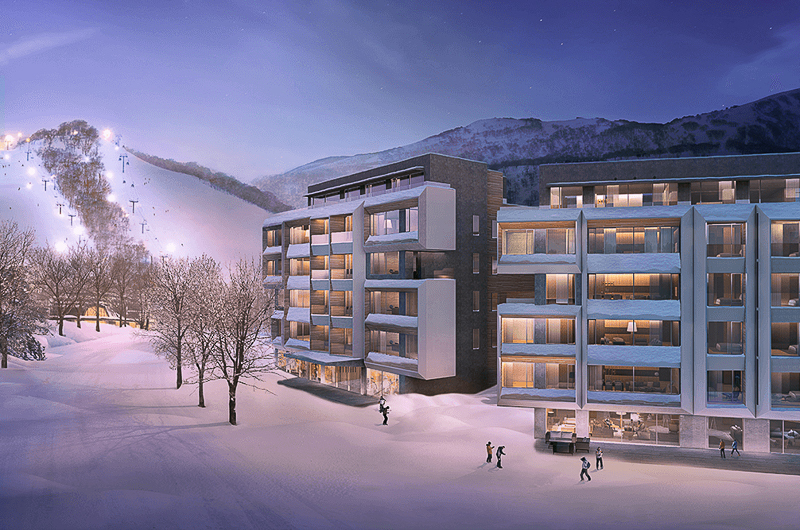 The building will be the largest condominium to be built in Niseko to date. 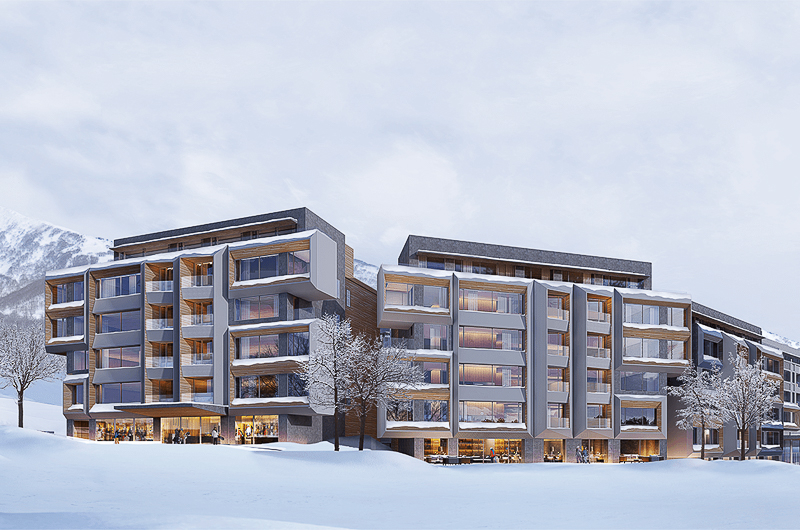 Located on the main street running through Hirafu, opposite the Lawson convenience store and below the Hirafu Gondola, Setsu will include luxury hotel condominium residences with 190 apartments set within a six-storey building centred around an internal courtyard. A series of restaurants on the ground floor will open onto the street. 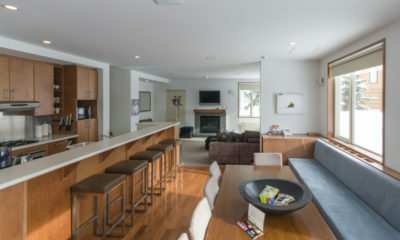 The apartment complex will feature amenities and service expected at fine hotels, including concierge on hand for your every need, a range of dining and bar options on site, play space for kids, and in-house car parking. 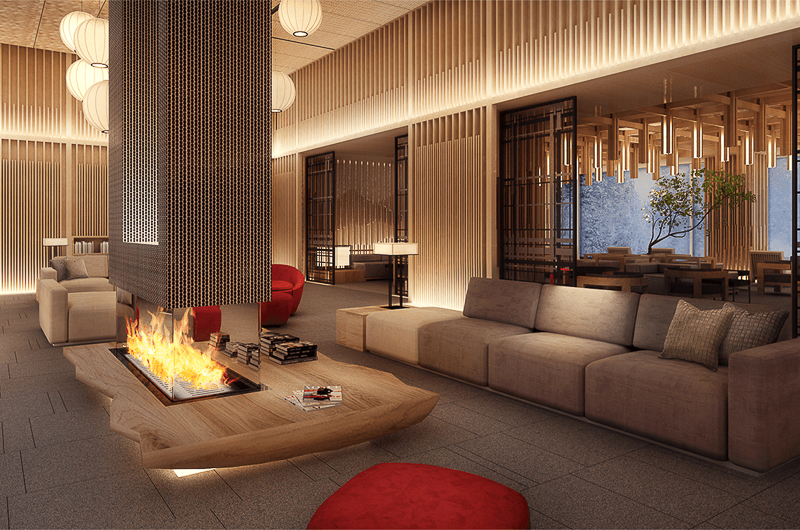 A Spa and Wellness Centre with both indoor and outdoor hot spring baths (onsen) and treatment rooms provide opportunity to take relaxation to the next level, while a gym will ensure you can keep your mental and physical health on track during your holiday. 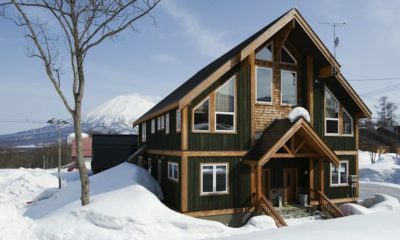 Setsu Niseko is located alongside the bustling heart of Niseko – Upper Hirafu. 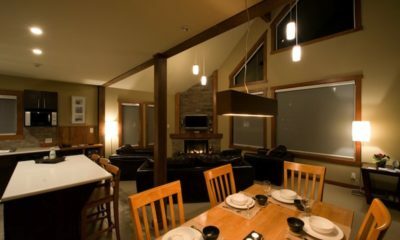 Set on its own 2.5 acre estate, Setsu Niseko provides a peaceful retreat after a day on the slopes or exploring the shops, restaurants and bars of the village, with clear views of both Mt Yotei and the ski slopes, which are beautifully illuminated at night. 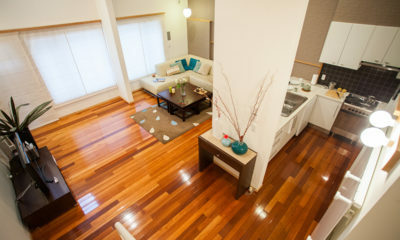 Setsu Niseko is a short walk to the Hirafu Gondola or the Ace Family Lift, however will likely offer in-house private transport options to whisk guests and their skiing and snowboarding equipment straight to the slopes. Hirafu Village is also serviced by a free village-loop shuttle, which stops about 100m from the building. There will be a selection of restaurants and bars in-house, and within five-minute’s stroll from the front door there are 50 or more restaurants to choose from. Wander the streets or browse the Powderlife magazine Restaurant & Bar guide (online as well) and pick out one that suits your mood (you may need to book ahead). Please note all information provided is representative and subject to change.